Rev. 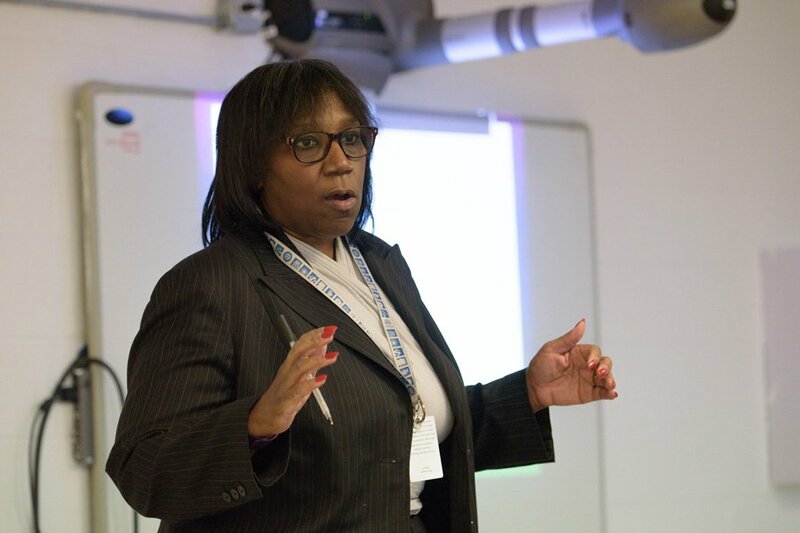 Dr. Patricia Efiom speaks at an equity meeting in April. Efiom spoke to City Council on Monday about the importance of equity across the board. Following input from a series of meetings and town halls, Rev. Dr. Patricia Efiom presented an Equity and Empowerment Proposed Plan of Action at a Human Services Committee meeting Monday. Efiom, Evanston’s recently appointed Equity and Empowerment Coordinator, stressed the importance of equity — not just equality — across the city. She said equity, in addition to providing equal access for all, also seeks to remove barriers that have hindered marginalized and minority communities. Efiom said that over the course of five town halls and a series of ward meetings held to gather community input, she noticed that most of the attendees weren’t people of color — the demographic she said her work is most looking to impact. She stressed that race consistently emerged as a critical issue when looking at Evanston, and said it is crucial to move it to the forefront of discussion. Efiom said it is vital to increase participation among black and Latinx residents in future discussions about equity, and make sure to focus on those most affected by the issues. The plan of action seeks to “establish equity as a priority goal for City Council and accept it as the highest priority” and has identified key goals for council members to undertake over the next year and a half. Ald. Robin Rue Simmons (5th) said she agreed with Efiom that race is a central issue in discussions of equity and needs to be considered in the appointment of stakeholders in the city government as well as amongst residents. Efiom said the plan will drive much of her work but is not the whole picture, and that the city needs to make a broad, public effort toward inclusivity and equity. City Manager Wally Bobkiewicz announced at the end of the meeting that discussions regarding the plan will continue in August and a final version will be slated for approval in October.